During the 40th session of the United Nations Educational, Scientific and Cultural Organization’s (UNESCO) World Heritage Committee in Istanbul on 14 July 2016, an ultimatum was issued to Italian authorities threatening to remove Venice from its World Heritage List and add it to its List of World Heritage in Danger. UNESCO has charged the Italian authorities with resolving problems it identifies as uncontrolled tourism, wave damage and the reduction in the number of residents living in the city. UNESCO highlighted three most urgent risks: the prohibition of the larger ships entering the lagoon, the imposition of speed limits on water traffic and the creation of a sustainable tourism strategy. Personally, I disagree with the need to dig this new Tresse Nuovo channel and favour the construction of a new port on the Lido outside the Venetian lagoon with subway train stop connected to a subway system for the whole city (as explained in this previous blog: https://dstandish.com/2015/09/24/battle-over-venice-cruise-ship-exhibition-indicative-of-wider-battle-for-the-oceans/). Indeed, a new port on the Lido has received the approval of the Environment Ministry’s Commission regarding its environmental impact assessment, although has yet to move to the stage of a fully-approved project. 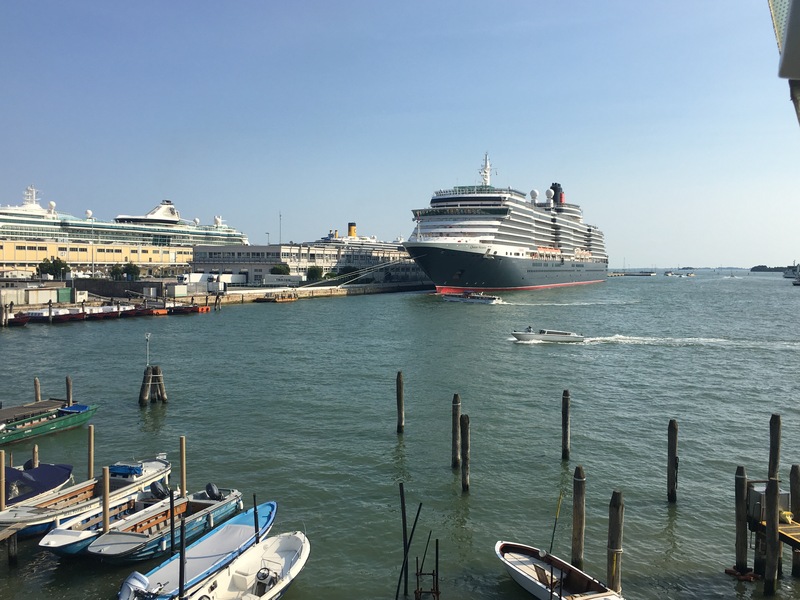 Whichever decision is made for Venice’s ports is a matter for the Italian government, Venice Port Authority, Venice City Council and other local institutions. What right does the UNESCO World Heritage Committee have to block projects managed by an elected City Council and assessed and funded by the Italian government? This is only the latest example of UNESCO undemocratically meddling in the affairs of the city as it has done consistently over the last 50 years. It was UNESCO that led the international response to the November 1966 floods and facilitated the international diffusion of the Venice ‘problem’. On 3 and 4 November 1966, parts of Venice experienced water depths 1.94m (6 feet and 4.5 inches) above mean sea level and has continued to experience high floods, although not as seriously as in 1966. Moreover, the November 1966 floods were not unique to Venice: they were much worse in many other parts of Italy. By 19 November 1966, the official final death toll from the floods across northern and central Italy was 110 people, with an additional six missing; there were no flood-related deaths in Venice’s historical centre, although at nearby Chioggia two people died from heart attacks. In Florence, 90 people died due to the onslaught of high rivers after more than a month of rain. Florence’s river Arno burst its banks. In Florence, treasured paintings from leading art galleries were washed out into the rivers, and low-lying churches and buildings filled up with water, mud and debris to heights of nearly two meters. In Venice, between 3,000 and 5,000 people were made homeless by the 1966 floods, mainly from the islands of Pellestrina and Saint’Erasmo. But limited damage to the monuments, historical buildings and artefacts that make up Venice’s heritage cannot explain the framing of Venice’s 1966 floods as an exceptional problem. By bringing together, in 1969, scientists from around the world to discuss the 1966 Venice floods, UNESCO stimulated the momentum behind the international diffusion of the Venice problem. There was some scepticism in Italy about the timing and possible outcomes of UNESCO’s intervention: it became interested in the Venice problem in the period just after the Egyptian government had capitulated to UNESCO pressure to intervene and save the temples of Abu Simbel from the Nile. “UNESCO came on the Venice scene only because it was finished at Abu Simbel, and now it would have us become a cross between a Nubian monument and Disneyland,” declared Gianni de Michelis, formerly a prominent Italian Socialist Party member (cited in Fay and Knightley 1976, 99). Italian governments have also self-consciously raised the domestic and international profile of the Venice problem. Emilio Colombo, the Italian Prime Minister in 1971, stated that he sought “to bring the problem of Venice out of the shadows where it seems to have remained grounded until now, and set it on the way to a solution in line with Venetian, Italian, and international expectations” (cited in Fay and Knightley 1976, 61). While Italian governments did not give UNESCO extensive powers of intervention in the Venice problem, UNESCO was assigned a decision-making role through being allocated a seat on the Venice Safeguarding Commission established in 1973. The Venice Safeguarding Commission was granted the authority to advise the government on all building and territorial changes within the Venice lagoon boundary; it was a noteworthy step to invite a representative of an international body to participate in local and national policy decisions. “It was, as Italian politicians never failed to point out, a considerable concession to offer membership to a non-Italian representing an international organization,” write Fay and Knightley (1976, 95). Subsequently, UNESCO has actively put pressure on Italian government: for example, its 1974 General Convention requested that the Italian state guarantee the safeguarding interventions for Venice in the Special Law of 1973. Pressure on Italian governments has also been exerted from 11 countries through the Association of Private Committees, which UNESCO has helped to coordinate, and which since 1997 has held a special status as a non-governmental organization (NGO) in operational relations with UNESCO. 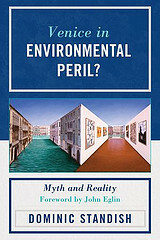 Italian NGOs have also attempted to sway government policy on Venice by channeling claims through UNESCO: in 2002, environmental and other organizations in the Save Venice and its Lagoon Committee asked UNESCO to support measures against the Italian government’s plans to construct mobile dams in Venice for flood protection (Environmental News Service 2002). Undoubtedly, UNESCO has contributed to some important restoration projects in Venice. Even though the Venice problem is a key campaign for UNESCO, this should not justify undermining local projects run by democratically elected bodies including Venice City Council or Italian governments. Fay, Stephen and Phillip Knightley. 1976. The Death of Venice. London: Andre Deutsch. Fletcher, Caroline and Tom Spencer, eds. 2005. Flooding and Environmental Challenges for Venice and its Lagoon: State of Knowledge. Cambridge and New York: Cambridge University Press. Moore, Howard. 2005. “Collaboration between the worlds of science and culture.” Preface to Flooding and Environmental Challenges for Venice and its Lagoon: State of Knowledge, edited by Caroline Fletcher and Tom Spencer, xxiii-xxiv. Cambridge and New York: Cambridge University Press. If I have read this correctly, UNESCO only has the power to delist, or relabel Venice as a world heritage site to an endangered one. Does this step really stop the democratic process of the city’s self determination? Is not UNESCO just another type of international political action committee that actively lobbies for their point of view?